Dewesoft X software is very rich in functionality but can even be extended in various ways to meet your needs, to save time and improve efficiency. Even though Dewesoft X supports a wide variety of data interfaces out of the box, you may also add support for a custom device, sensor or protocol yourself which is not available by default. This can be done by writing a custom plugin which uses the DCOM interface for reading and inserting values from your data source into Dewesoft. Custom plugins also allow you to create a customized GUI to fit the needs of your application within Dewesoft. The basic PRO training teaches you how to start with plugin development while the advanced PRO training shows you how to smoothen the signals, minimize the clock drift and how to make your device the clock provider. 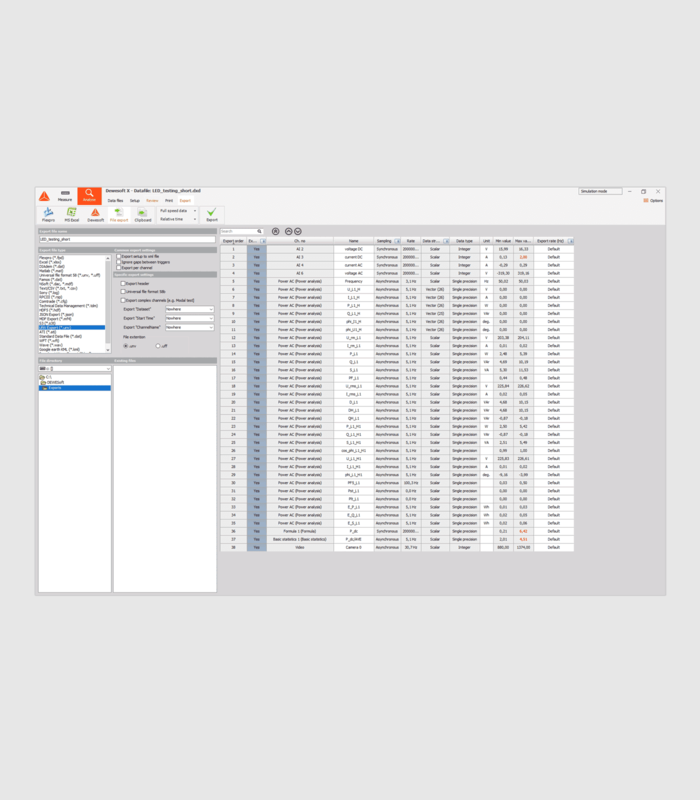 Once the data from your device is available as a Dewesoft channel it can be used like any other channel, allowing you to take advantage of the Dewesoft built-in math, display and export functionalities. 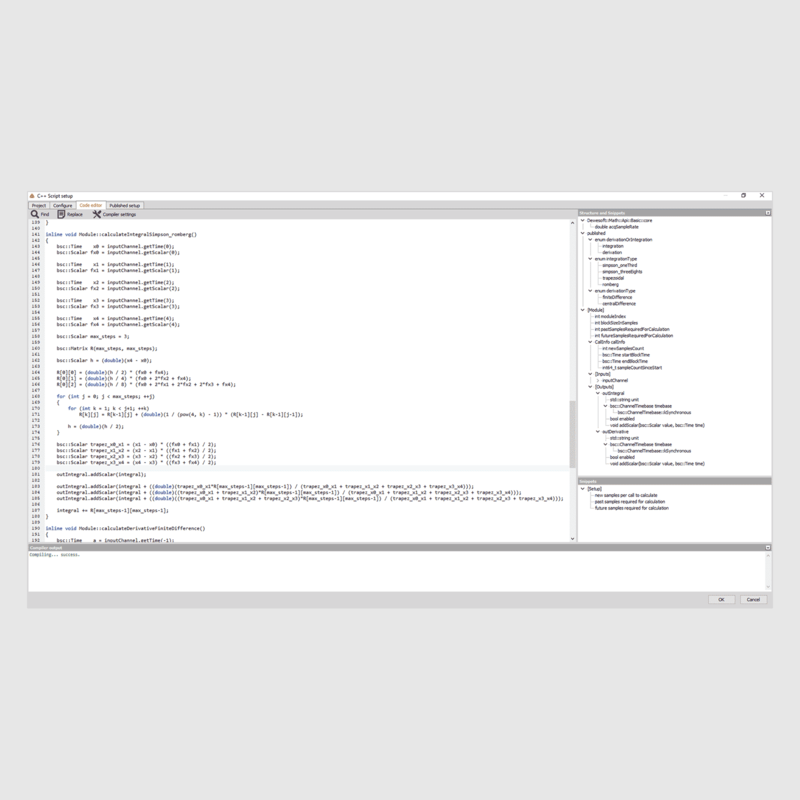 Built-in visual displays will cover most of your visualization needs for signal processing, data monitoring, and control, but Dewesoft X also offers an easy extension of visual displays using a plugin programming interface. 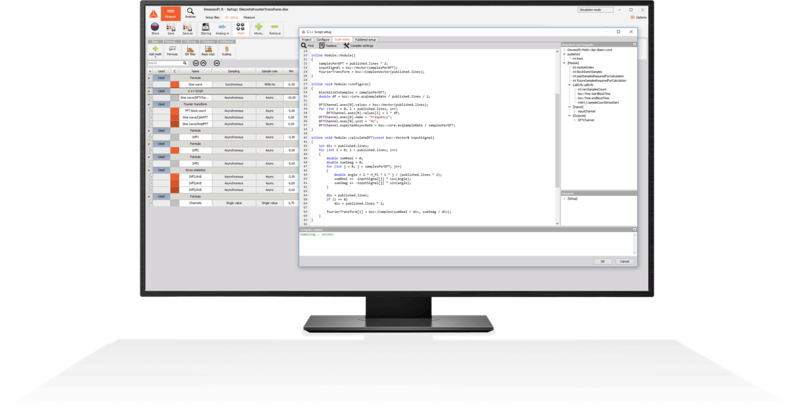 You can program your own displays using Dewesoft’s DCOM plugin technology and your programming language of choice. While the design of your visual control is fully customizable, the general implementation is generic. 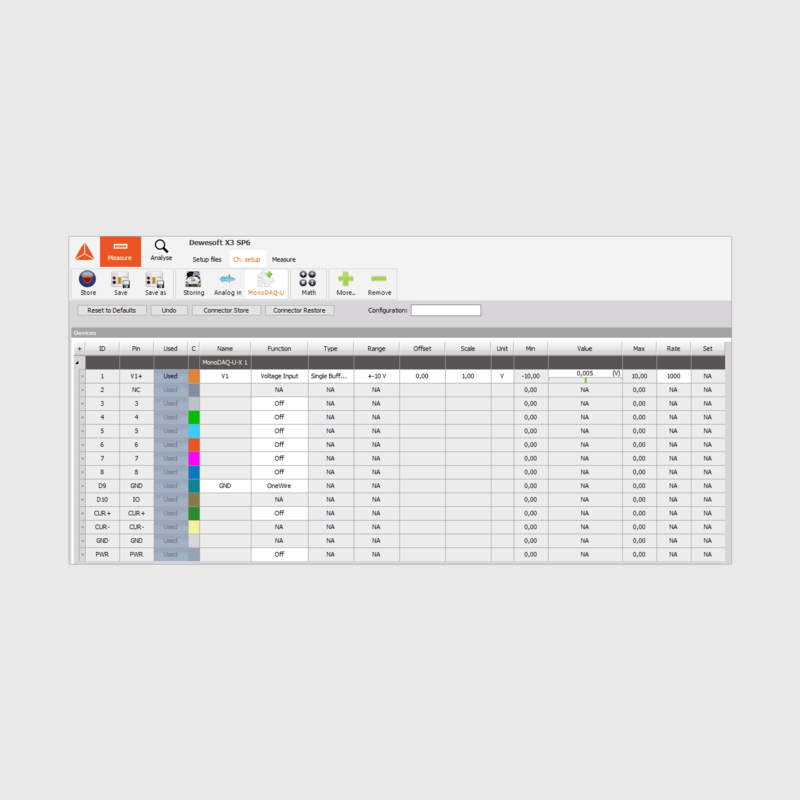 This means that you can generate as many instances of the same item on your screen as you need and use them in combination with different channels of the same type - the ultimate tool for displaying data. When you need to process data in third-party software and Dewesoft does not yet support a compatible data format, you can develop a custom export using Dewesoft’s DCOM plugin technology. The data stored in Dewesoft channels can be processed by your developed program written in the language of your choice, providing a file that is accepted by your tool for advanced analysis. As the export design is generic, a well-rounded export plugin will be able to process and correctly export data from any Dewesoft data file. Find examples of custom export plugins in the developers part of the downloads section. For a different method of processing Dewesoft data files please refer to the DWDataReader API. Go to Dewesoft X Developers overview page and learn about several ways that allows you to extend and automate Dewesoft X software. 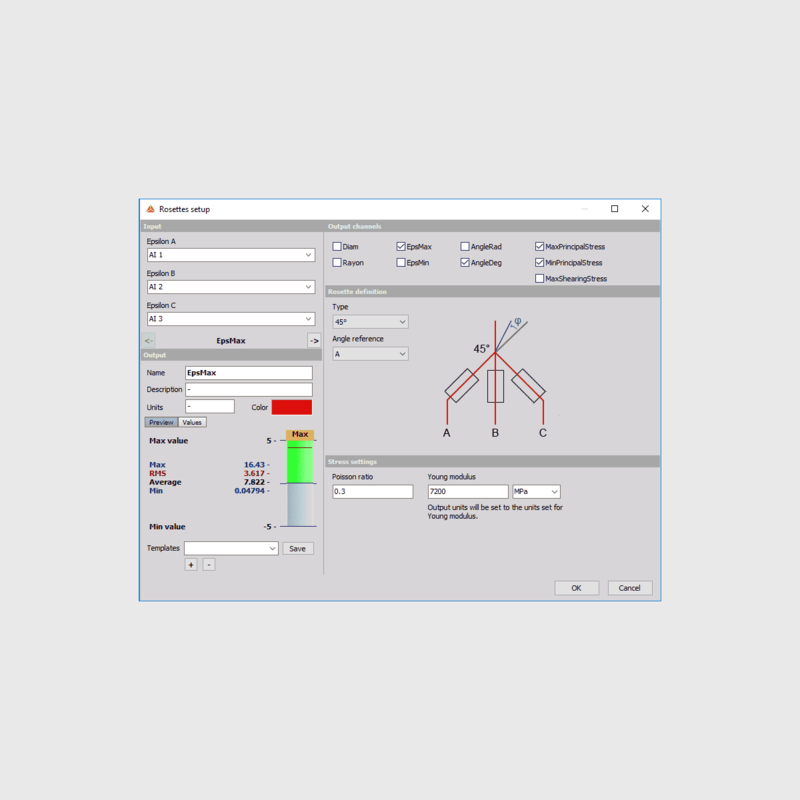 Go to Dewesoft X Automate page and learn about power features available to you to automate test and measurements with Dewesot X software.